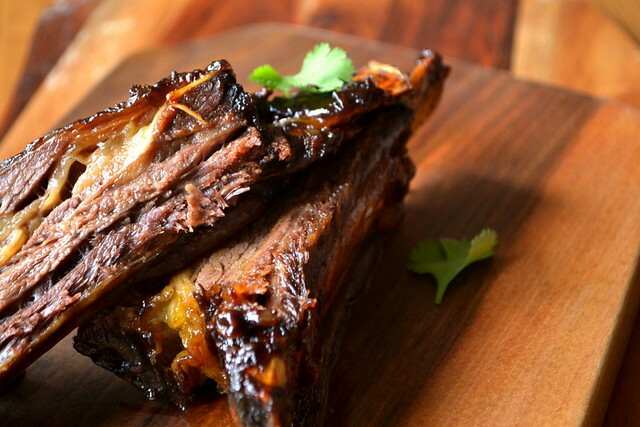 The cooking time required for these short ribs may off-putting for some. However, I urge you not to braise them for less time at a higher temperature. Instead, try cooking them the evening before, turning the oven off before you go to bed and leaving them there until you need to start preparing the sauce. Of course, you’ll need to remember to drain the fat before going to bed or you’ll find it tricky to proceed. 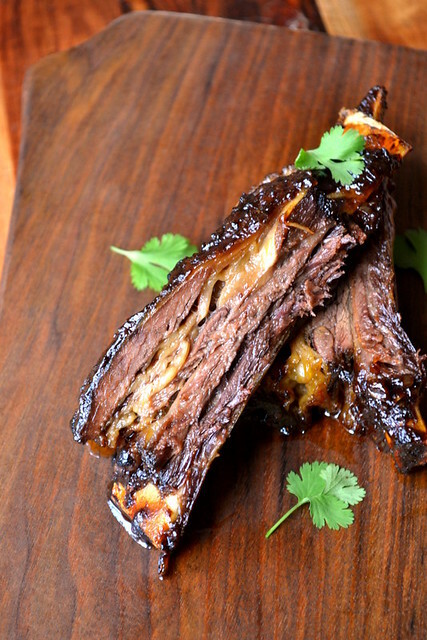 As for how to serve these ribs, you’ll encounter very few limitations. For instance, they work very well in the summer finished on a barbecue instead of in the oven. But because they’re seriously slow cooked and as easy to nibble through as butter, these ribs could just as effectively be served on a bed of spaghetti drizzled with olive oil. Regular readers will know that I’m a vocal advocate of reducing the amount of meat we, as a society, consume. But I’m not vegetarian either, so I like the little meat I do eat to be as well sourced as possible. Living in Bristol, there’s an exceptionally diverse food “scene” available to me, including some fantastic independent food providers. Probably my favourite such vendor is a small food “hall” – Source – based in the heart of the city. While Source stocks a wide selection of fish, vegetables and bread, it is its meat that draws me in. There is no finer meat anywhere. Dexter is a miniature breed of cattle, that originated in Ireland as a dual-purpose animal for small holders, hence the small manageable size, about half that of traditional Hereford. The deep rich meat is full of flavour, with a character all of its own. Grass fed or pasture reared livestock is the traditional and natural way of rearing, but very little beef is now farmed in this way relying, to varying degrees, on grain to supplement or replace the varied wild herbs and grasses of pasture. Meat from animals that have eaten a natural and varied diet have much more complex flavour and are better for the consumer from the point of view of the nutrients it contains, as well as the way the body processes the fats which tend to be richer in unsaturated fats contributing less to cholesterol. Place the ribs in a large roasting tray. Drizzle with the olive oil, before seasoning with the salt and a little black pepper. Seal the roasting tin with plenty of foil and pop in the oven at 100C (fan) for 6-8 hours. Once cooked, set the meat aside and drain the fat (but not juices) into a container. This can be used in the same way as duck or goose fat. Place the roasting tin on the heat, being careful not to burn in. Add the onion, garlic and worcester sauce. Scrape all the juices together and saute the vegetables until soft. Add the ketchup, white wine vinegar, sugar, salt and a little black pepper. Cook gently for two minutes before setting aside. Place the ribs on a baking tray and baste with the barbecue sauce. Place the meat back in the oven, this time at 160C (fan) for a further 30-40 minutes. Chop the joint roughly into individual ribs and serve. Cost: I’ll not gloss over the fact that Dexter ribs aren’t cheap. While this recipe may use them in a frugal manner, it’s difficult to get away from the £12 price tag. 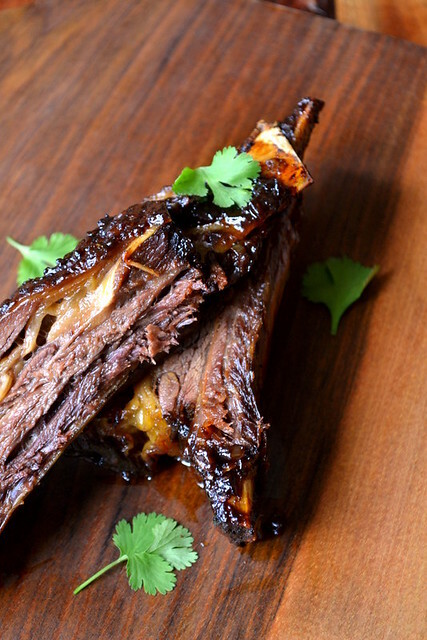 If that’s a little more than you’d like to spend, this recipe can just as easily be made with “average” beef ribs. The process remains the same, as does the cooking time, but doing so will reduce your costs by several pounds. Oh my goodness, I cannot wait to try this recipe. I shal have to be patient as I don’t have any beef available but joy of joys my neighbour has a small herd of pedigree Dexters!! We are able to buy meat for the freezer from her, beef, lamb and pork but have to wait our turn from her list of customers. ooooh. welcome back Nick …. yet another stylish, and tasty recipe. 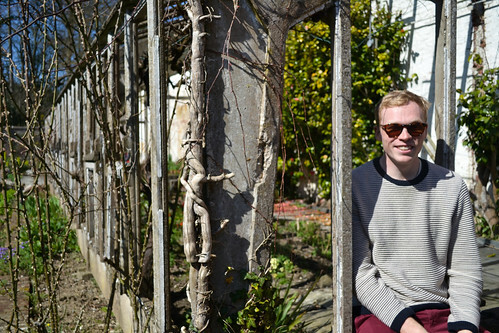 must pop down to Bristol ASAP …. 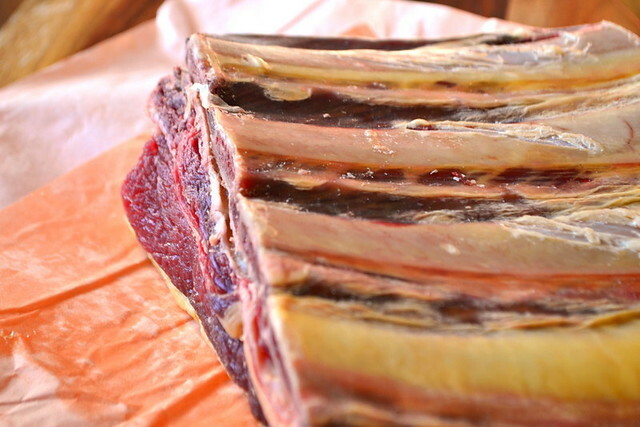 only 2 hrs from us ….. wonder if you have to order these Dexter ribs in advance?? 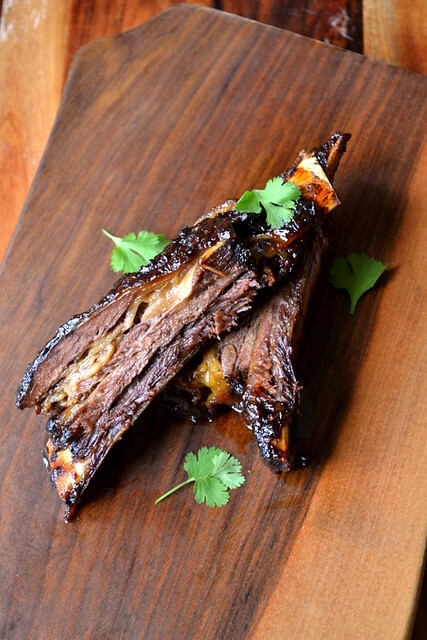 our Waitrose sells short ribs …. sadly not Dexter … so,will try recipe out with those …. I. fact I think I have some in freezer waiting for this recipe Me thinks!! This looks delicious!! Must try! Nick, those ribs look like perfection! Don’t think I can get Dexters here, but still … yum!